Train buffs will find several vintage machines in South Dakota to photograph. 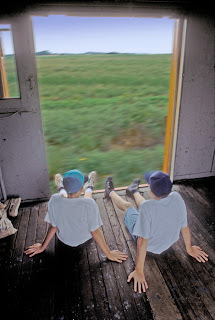 Hill City, Madison and Milbank all have operating historic trains that make memorable pictures. 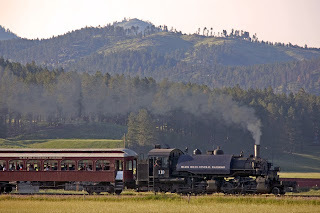 The Black Hills Central Railroad, also known as the 1880 Train, has been a highlight for visitors to the Black Hills since 1957. 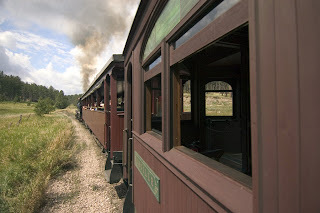 During spring, summer and fall, the train makes several daily runs between the depots at Hill City and Keystone. 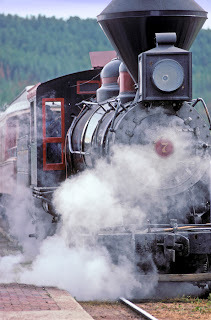 This steam train is so authentic to the time period it represents that Steven Speilberg and Turner Network Television featured it in the mini-series "Into the West" in 2005. It has also been seen in TV's "General Hospital," "Gunsmoke," and the movie "Orphan Train." 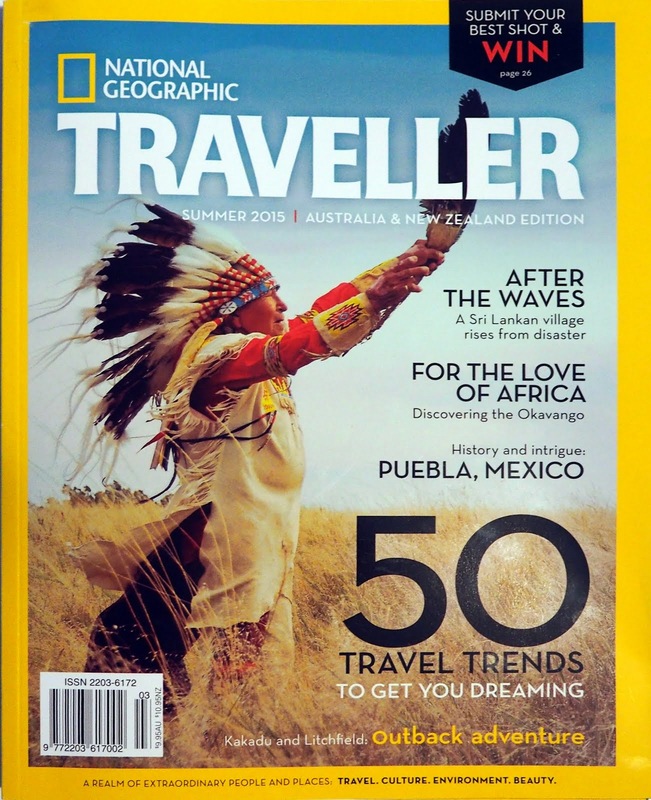 The great thing for photographing the 1880 Train is that a two-lane blacktop road parallels the tracks, and crosses them several times along the route. Pennington County Road 323 (also known as the "Old Hill City-Keystone Road") provides several places to safely stop and shoot the train as it chugs through the pine forest. Please do not rush across the tracks in front of the train. Even if you have to stop and wait for the train to cross in front of you, your vehicle can easily catch back up and get ahead of it for more photos. Also be aware of not blocking vehicle traffic on the road when stopping to shoot pictures. Dramatic backdrops of a distant Harney Peak just outside of Hill City and tall rocky cliffs near the Keystone end of the tracks make for some great images. The train also crosses several small bridge trestles nearer the Keystone end of the route. For closeups of the locomotive's water tank being refilled, engineers working, and people boarding the train, etc., I would recommend shooting at the Hill City depot. The Keystone depot is in a much more confined and crowded canyon that doesn't always receive good light. Shooting in Hill City generally is better in the afternoon when light falls onto the depot side of the train. For more info, visit http://www.1880train.com. At Madison's Prairie Village, the entire park is encircled by the two-mile route of the Prairie Village, Herman and Milwaukee Railroad. 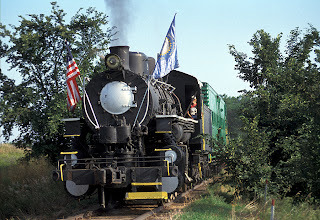 In early June the village hosts Railroad Days, putting an emphasis on the steam locomotives and cars here. 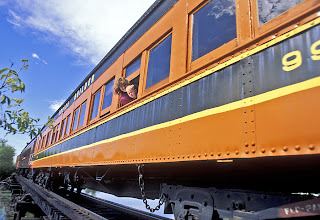 Several unusual train cars are exhibited at Prairie Village, including an 1893 "Emmanuel" chapel car, and a 1950's wedge snowplow car. More info is available at http://www.prairievillage.org. 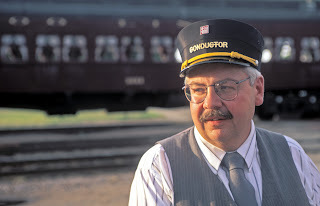 Milbank, near the Minnesota border in South Dakota's northeastern corner, hosts an annual Train Festival in mid-August. Rides on the Whetstone Valley Express diesel train are offered, as well as model train exhibits, etc. EDIT APRIL 5, 2008 - Unfortunately I just confirmed that Milbank's Train Festival has been discontinued. 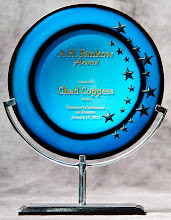 Another cool event comes to an end. It has been replaced by Farley Fest, held in late June at Lake Farley Park. For more info, check out www.milbanksd.com/farleyfest. 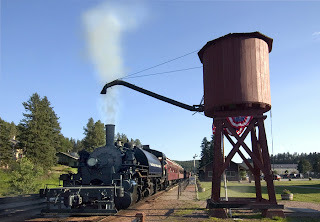 To me, these three places offer the best photographic possibilities in South Dakota, but you might also enjoy other train cars on static display and related memorabilia at the 1880 Town near Belvidere and the D.C. Booth Fish Hatchery in Spearfish.